At Francorp we assist our clients on all aspects of franchising which are listed below. We believe in being partners in your growth and help you resolve all operational issues throughout the lifecycle of a brand. A lawyer might say that first you must comply with franchise laws. But that's not really the first step. To start with, Francorp recommends the formation of a business plan. Francorp will help you decide, based upon your own presence in the marketplace and the strength of competition, where to sell franchises and who to sell them to. (What is the profile of your prospective franchisee?) 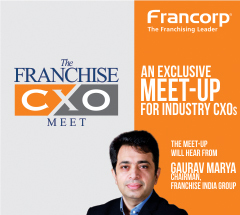 Francorp will also assist, based upon similar criteria, what the franchise fee and royalties will be and what percent of sales franchisees must contribute to regional or national advertising. Having decided where you want to sell franchises in the planning stage, and having drawn up a profile of your prospective franchisee, you must now determine how to get your message to these prospects. Some of the ways include media advertising, appearance at business opportunity and trade shows, seminars, direct mail and Internet advertising. You must also create the materials that will contain that message, including advertisements, a franchise brochure or DVD. 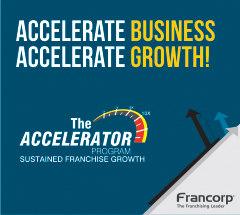 While Francorp doesn't function as a broker for our clients, as part of our Franchise services, Francorp provides franchise sales training to new and existing franchisors. 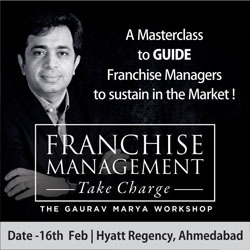 Attendees are taught by industry experts with numerous years of franchise sales experience, receive a "how to" manual and personalized instruction on how to sell effectively. On an ongoing basis, Francorp provides implementation consulting to ensure that the lessons learned in the classroom work effectively in achieving sales. Optimal capital requirement, Franchisee Fee & royalty expectations, rentals and man power suggestions.